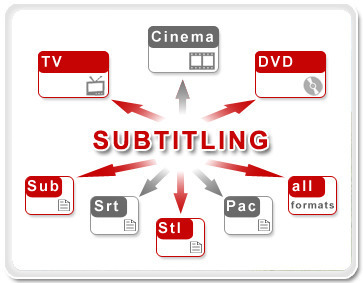 Effectively translating subtitles or scripts for voiceover or dubbing services often requires a written transcript. As an international translation services company, our pool of professional transcribers, who handle more than 140 languages, are at hand to help take your project forward. Therefore, no matter the language of the audio, we can have it transcribed for you and, should you desire, subsequently translated. Although digital audio file types are preferred, out of convenience, we are of course able to work with any audio source, and we mean any. Worried about sending through highly-sensitive information via email? All data can be transmitted to us via our own FTP servers and held in accordance with Data Protection standards. Rest assured, security provisions are at the heart of everything we do. Whatever the format of the footage is – we can deliver, whether it is a .vob file for a DVD, or a .xif file for television broadcast. We have the software and tools at hand to streamline the process. All we need is the footage, and we’ll take care of the rest. Our team of project managers are at hand to ensure that your film, documentary or marketing message captures the imagination of foreign audiences. When it comes to translating subtitles, our network of professional linguists are not just expertly skilled in translating dialogue, but also in capturing the same substance, style and humor of the original content. Subtitles engage foreign audiences directly to the original production, so it’s important that context isn’t lost. At ODB Translation, we take everything from readability to time on the screen into account when working on your subtitle translation project. As a professional translation agency and subtitling company, at ODB Translation we can work with whatever you send us, whether it’s just the original film footage in a foreign language, or the subtitles file that needs to be translated for foreign audiences. If you don't have the original transcript, you might be interested in finding out about our transcription services, as well. > where to break the lines and how to best make the words fit.German translations, for example, can be up to 30 per cent longer than English ones. Even a well translated piece of writing won't look professional if the words don't fit, the lines break in unusual places and the fonts are hardly legible for the target audience. To ensure that you receive the best possible all-round translation service - typesetting included - we employ highly-qualified, professional typesetters to redesign your translated magazine, brochure or poster. When marketing abroad, presentation is important since customers are always quick to make up their mind. For instance, different countries use different typographic conventions and different fonts. We always employ native typesetters for your target country who understand how to effectively market your messages in print. With more than ten years' worth of experience in the industry, our in-house typesetters, as well as those in our global network, are fast at responding to your request and always provide an optimal service at a highly competitive price. Our dubbing services cover up to 100 different languages, with every actor working in their niche style - from those whose voices are domineering and authoritative, to those with voices softer and ideally suited for, say, children's cartoons. Of course, should you require, we'll also translate the script from the original into the target language, as well as provide the dubbing service. Whatever your requirements, our accounts and project management team are on hand to help and discuss what would work best for you and your production. And when it comes to sending over the material, all we require is the original film footage, which you can securely send to us through our FTP servers, and we'll do the rest. When subtitles aren't quite enough, ODB Translation is happy to supply dubbing services, whether it be for a short piece of film or an entire motion picture. Different to our voiceover services, a dubbed soundtrack will have voice actors practically acting out the scene, translating not just the words, but also the emotions, expressions and annunciations. Unlike dubbing, voiceover audio is generally only spoken by a single actor and is played over the original audio, which remains audible in the background, while a dubbed soundtrack replaces the original audio completely. Our full translation and voiceover services include translating the script into the target language, recording the voiceover actors reading from the script and placing the voiceover recording over the original footage, following the original dialogue by a few seconds delay. ODB Translation's experienced translators and voiceover actors are located right around the world, while scripts are localized, and refined consistently, to meet the client's preferences. We provide commentary language services in over 140 languages. We analyze the material, translate it, and then select the appropriate voiceover actor to read the script. We base the ideal actor on their native country, dialect and accent. Suitability is also dependent not just on language, but also on the basis of the age, gender, voice quality, style and accent needed to fulfill your requirements.